Observation - Swan ice skating - UK and Ireland. 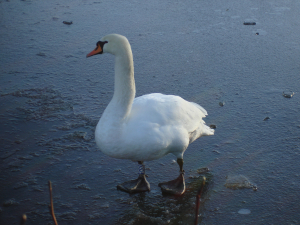 Description: Mute swan with ring 7CVE wandering about on the ice. Mute swan with ring 7CVE wandering about on the ice.